There's more ways than you might think. We have a few ideas for realtors to explore. When it comes to real estate, promoting your listings is everything. From attracting, engaging and converting prospective clients, it takes more than a website and a few social media profiles. Most real estate agents and realtors know some or most of these strategies, but we’ve managed to introduce something for everyone, from those new to the business to even the most seasoned professionals. It isn’t news that customer reviews are one of the most effective ways to get leads. They also tend to have the highest closing ratio as well. Why not get your customers to do your marketing for you? Reviews are one of the most cost effective tactics. But getting customers to write reviews can be difficult. It doesn’t have to be though, and NiceJob has made it easy. Whether it’s real estate or any other business, including online reviews in your marketing strategy is going to have a real impact to your bottom line. As you can see above, online reviews are the preferred and most trusted method across all age groups as a source for information. You’re probably already on the business social network but are you making use of the contacts you have? Be sure to create an account for your business, and fill in all the details. This includes completing your bio, mentioning your experience, including a URL, any certifications you may have, and creating a professional looking header graphic for your company page. Make your company page stand out from other agents by adding Vimeo and YouTube videos, along with other visual content like photos, images and graphics that present yourself in a professional manner and demonstrate that you’re knowledgeable as well. Set up a Showcase Page for showcasing blog posts and promotional offers, along with any other pertinent information that you might want prospects to know. Using the advanced search feature, you can identify locals to connect with. The key to building your network is not diving in and being salesy right off. Focus on earning their trust and building the relationship. When reaching out to connect and build your network, try to include a message as it increases your chances of the connection being accepted. You want to nurture the relationships. These aren’t hot leads but they do expand your network and can prove fruitful at times. A notable feature is the ability to tag individuals. This is done by clicking on the “Connections” tag at the top of your profile. By tagging profiles, you can label connections by organization. Joining or creating groups on LinkedIn is another great way to network, so long as you remain genuine in your interests and not dive into a sales approach. Some groups are private, and you have to apply to join, while many are open. Finding people that share similar interests make it easy to engage. If you don’t find any groups with local members that seem to be a fit, consider starting one of your own around an interest that might have appeal to others at a local level. Publishing on Linkedin is another means to not only demonstrate your knowledge, but attract interest and possible referrals. From articles and opinion pieces to curated info on recent housing market data, it all offers the opportunity to acquire additional exposure. You can further your reach using Sponsored Updates on Linkedin, and target it to specific segments of your audience, along with LinkedIn’s small business advertising options for even further reach. Linkedin also provides analytics data, so you can guage whether your efforts are working by monitoring the clicks, impressions, interactions and overall engagement of your marketing efforts. As most realtors know, a properly managed Adwords campaign can be a gold mine. At the same time, when it isn’t set up and managed properly, it can bleed your budget dry. This is one tool worth taking the time to learn, as it provides the ability to scale, as well as generate leads fairly quickly. With some experimentation, you should be able to develop campaigns that are profitable for customer acquisition. Few platforms provide targeting like Facebook, making it a popular choice to get in front of your audience. From location to interests, they have all kinds of ways to serve advertising that many others don’t offer. Assuming you haven’t heard of it, the Zillow Premier Agent tool can be a great way to get leads with geo-targeted advertising, but as you perform your own due diligence, you may find the product opinions deter you. Our recommendation is if you're thinking about the platform, start with small targeted campaigns. With any leads, how you pre-qualify often determines the quality. Since your ability to close a lead can also be tied to your brand, customer reviews, and overall perceptions, it helps to ensure you set yourself for success as much as possible. If you’re running ads, you want to look into retargeting. Not just for prospecting, but selling too. When you show a client the report about how their home appeared on websites like NY Times, USA Today, Forbes, CNN, along with Realtor, Zillow, Trulia and more, they’ll remember that. And a happy customer is one that is often willing to provide a positive customer review when you ask, after you’ve sold their home for them. Retargeting not only increases brand awareness, it’s just smarter marketing, typically with a respectable ROI. Keep in mind that a campaign that runs over 60 days (90 max!) is just plain annoying on the other end. While there’s lots of different possibilities to generate leads, FSBO’s are already ready and willing. Often some of the easiest leads to convert, it’s important to put yourself in their shoes first. They probably have worked with an agent before, and after a failed listing, have take their home off the market. This time they're doing it themselves, and after a dozen or so open houses and a parade of strangers wandered through their home, they've discovered just how much work it is (without an agent) to sell their home. Often they are looking to avoid paying a commision, but if they've been trying to sell their house for more than a few weeks, they'll soon realize it's not what they were expecting and can be approached. Before you pick up the phone, do your homework first. If it’s been on the market before, it should be in your MLS, and offer some insight into the owner’s motivation to sell, and how long it was on the market before. Also check to see if it’s on Zillow, Craigslist or similar currently. But when is the right time to make that call? Some say to reach out as soon as it’s listed, while others say it should sit on the market a few weeks. According to our sources, sooner is better. Being one of the first agents to have a conversation about signing with a realtor tends to leave the prospect with a more positive memory, and in some cases, a better chance of conversion. 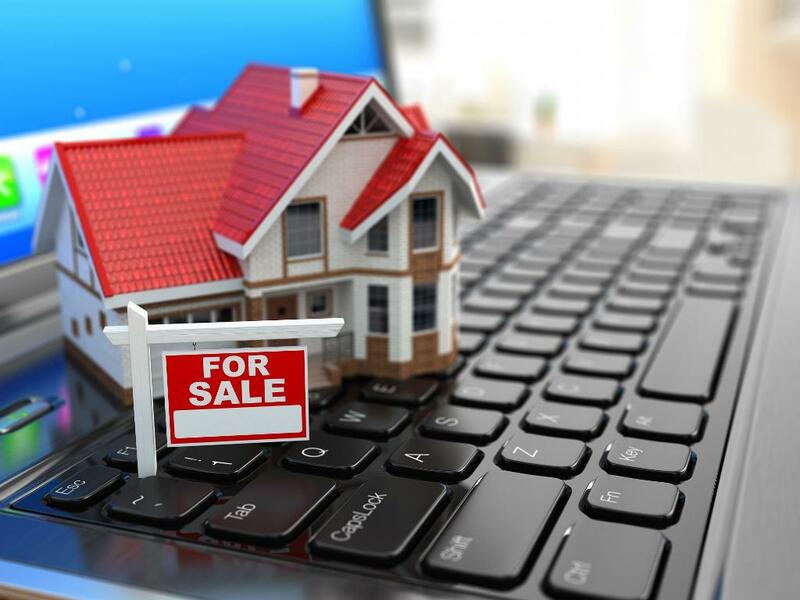 If you want to start looking for FSBO’s on your own, places to try include Craigslist, Kijiji, Zillow, local newspapers, ForSaleByOwner.com, Homefinder.com, Homesandland.com, comFree, One Percent Realty, and RuListing. In addition to trying to generate leads through networks, paid search or social media platforms, you can also buy leads directly from sources, or use managed services. Simply sending every prospect to the homepage of you website is a missed opportunity. Every visitor has different needs, and catering to them helps them find the information they need quickly. By optimizing your landing pages to these specific needs, you improve your chances of conversion, whether that’s completing a form, getting on your newsletter, or even a phone call. An optimized landing page allows you to speak to a specific audience and address their needs. This could be for a certain type like a first-time buyer, someone looking for a condo or vacation home, or a specific neighborhood. The elements that make for a good landing page include a good headline, to capture and retain interest once they've arrived, along with concise and compelling copy, strong relevant images, and finally a call-to-action (CTA) to capture the lead. Driving traffic to your landing pages can include paid search like Google Adwords, Bing, or Facebook advertising. You can also try native advertising, with the right content strategy. It’s also wise to try optimizing not only your campaign, but also your landing pages, through what’s known as multivariate or split A/B testing. This means to try two versions and measure which performs better. Note that you are best off to do very small changes when testing versions, such as one item at a time like the headline or text on a button, otherwise you never really know what made one version perform better than the other. Dive with with the mentality that it’s a campaign. There is the landing page, and also the promotion side. So building it out in a targeted way only makes sense. Topics such as What’s my Home Worth or Free Market Analysis are popular go to strategies for realtors. Surely you have some traffic at your website. Are you doing everything possible to make the most of it? From a free home evaluation to the content strategies used, you can also think about list building by collecting emails for a newsletter. You can also incentivize things by offering an ebook to newsletter signups, such as guides, checklists, home evaluations and more.. Creating marketable ‘assets’ that provide value to prospective clients comes in many forms, and doesn’t always mean you need to collect their email address, although it’s better if you can capture that to continue nurturing and marketing to them. Many consider content marketing strategy the most effective tactic to explore. It supports your social media efforts by providing something to share, helps with SEO, and allows you to demonstrate expertise. If properly executed, it will even earn referral traffic as well. The following graph provides a look at what brands and professionals consider to be the most important metrics for their marketing. It’s important to understand that the topic metric (website traffic) is reliant on things like reviews, referrals, organic and paid traffic. To acquire web traffic, you either buy it, such as paid search and/or social campaigns, or earn it, through content strategies the drive organic results. The other sides of this would be referral traffic, which is sometimes referred to as thought leadership or guest posting, along with PR. By having live chat, you can engage with your website visitors in real time, and sometimes this is all it takes to convert a prospect into something more. Making yourself available to the media by pitching your expertise in real estate to journalists can sometimes earn mentions in local news. It’s referred to as source filing, where you make yourself available to offer your expert opinion. Public relations isn’t easy, and it takes time and effort, but can pay off nicely at times. Keep in mind that this is more likely to work for those more established and with several years experience. You can also try the website HARO (Help a Reporter Out) as there are lots of requests for experts to be found. We’re not talking yellow pages (that’s your call) but there are a number of cheap and effective ways that still work. Postcards, bus benches, classified ads, sponsoring an event, hanging door flyers, it all helps to build your brand. Also, as more move to online advertising, it isn’t as saturated as it used to be. Not all convert on the first engagement of an ad, but these constant reminders do put you at the forefront for when someone might be thinking of buying/selling, and help build your brand. Make the most of them and they can really pay off. The law of reciprocity is that if you give something to someone, they often feel compelled to return the favor. So be sure to offer a small buffet at the open house and you’ll be able to expect a few minutes of people’s time. We’ve heard that some go as far as handing out flutes of Moet Chandon, which might seem like a bit much, but it’s all about who your prospects are at the same time. You wouldn’t put out a plate of cookies for a home listed at $10m. With all the people rolling up, the neighbors will be curious. See if you can invite them in too, as many will be curious to see the inside of a home in their neighborhood, especially if they haven’t before. While you have that brief moment of their time, capitalize on the opportunity by a free report on their neighborhood, and having them sign up with an ipad so you can capture their email. This is becoming increasingly popular with real estate and hospitality circles, and it’s clear why. A 3D virtual tour is immersive, providing an experience as close to you can get without actually being there, allowing you to explore the surroundings beforehand. Companies like Matterport and iStaging can help. Sometimes it takes a different approach to get the results desired. Just stay away from shady tactics like the ol’ bait and switch listings. Wait 30 days after closing and throw a housewarming party. Invite the new homeowner’s neighbors, and let the networking begin. Hire an Inside Sales Agent (ISA) to make the most of your leads. From following up, to making prospecting calls and booking appointments, they can improve your bottom line. In our always on and plugged in times, a handwritten thank you note of appreciation is a classy way to show appreciation for their business. When it comes to probate real estate listings, a handwritten letter beats a real estate postcard every time. If you want to stand out and be memorable, sometimes it takes a gimmick, or a different approach. If you think about it, most realtors use the same approach. If you have some fun with it, you might be able differentiate yourself, stand out, and see a steady flow of leads. Results will vary depending on what you do, and it’s best to still maintain a professional image, but it’s something to consider or you might just blend in like the rest. Which can be both good and bad, depending on how you look at it. But all the crazy branding ideas or gimmicks aside, if you want to stand out, then going above and beyond is possibly the ultimate way of differentiating yourself. Not only do you earn the customer's respect, you'll also reap the benefits, such as glowing customer reviews and possibly referrals as well. Nothing earns more credibility or respect (and great reviews) than quality service that has gone the extra mile to earn their admiration. Keep in mind that in real estate, your name is your brand, and the realtors that tend to do well usually adhere to a code of ethics. It takes years to build a reputation and minutes to ruin it. One final thought - not every opportunity is a sales opportunity, but with the right approach those networking opportunities could evolve later. Being helpful, available and genuine is sometimes the beginning of something bigger, when the timing is right.